We are so very, very pleased and proud to announce that Team Josiah just turned in $2,000 to Team Summer, having raised an equal amount for themselves! As you may remember, late last year, Team Summer gave young Josiah, who is battling neuroblastoma, a LeapPad to keep his active mind occupied during his chemo. A few days later, Josiah’s uncle came to Summer’s hospital room and told us that his family was so grateful for Summer’s support that they wanted to sell Team Summer bracelets, too. As generous a gesture as that was, we couldn’t have Josiah’s family raising money for OUR family, when his family was suffering as well. Then a thought came to us. We don’t remember who said it out loud, we just remember being stopped in our tracks by the idea, goosebumps appearing on our arms. What if, instead of selling Team Summer bracelets, the family sold Team Josiah bracelets? Then half the money raised would go to their family to help with Josiah’s medical expenses and the other half to Team Summer to help other kids with cancer. This bracelet project could help other families as much as it has helped ours —and give families a chance to give back, helping more kids with cancer in return! A win/win for everyone! So Team Josiah was born – our very first Team Summer Partner. Josiah’s bracelets are blue – his favorite color – and have the Team Summer logo stamped on the back. Natalie, Josh and Josiah, you are amazing people. All of you naturally reach out to others, even when your own challenges are too big for most to bear. 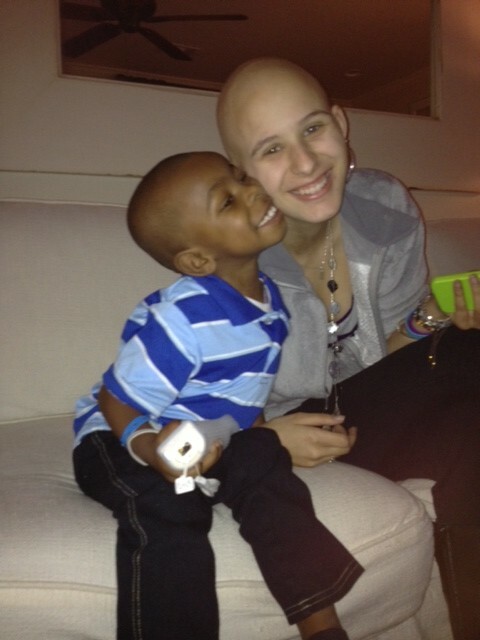 Your strength and courage are a constant source of inspiration to everyone at Team Summer. Thanks for being part of our lives! 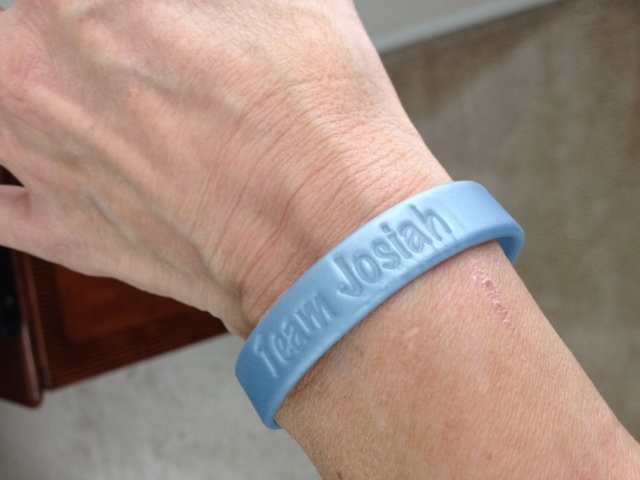 One more note – Josiah’s family wants even more bracelets to sell! Go Team Josiah!